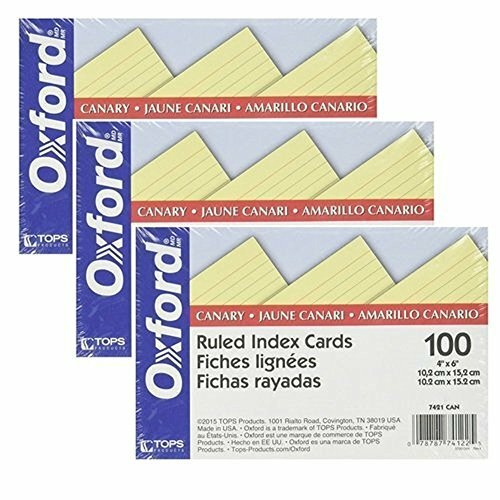 Save 1% on the Oxford Colored Ruled Index Cards Canary 100/ pack (4''x6'') (3 Pack) by Oxford at LDP Graphic Design. MPN: OXF7421. Hurry! Limited time offer. Offer valid only while supplies last.